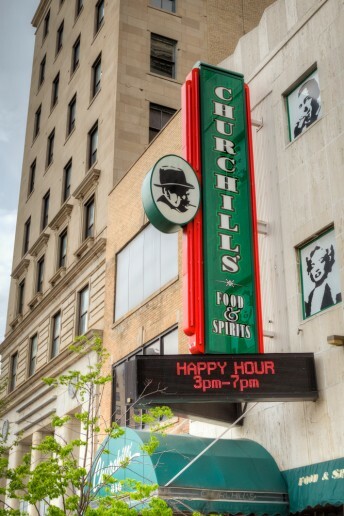 Located for decades in the heart of Downtown Flint, Churchill’s Food & Spirits has won the 2016 My City Magazine City’s Choice Award for the Best Classic/Artisan Cocktails. The owners, Johnny Saites and his three cousins, Taso, John, and Bill Gravanis have worked very hard to earn that distinction. They took ownership of the restaurant/bar in August 2015. The building was built in 1890 and was originally a women’s boutique/salon that sold apparel and shoes. 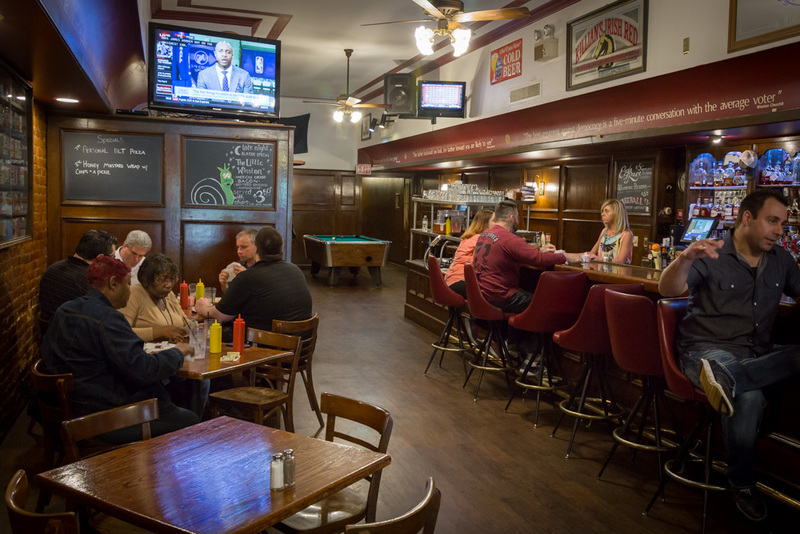 According to Johnny, the building’s interior – with its brick walls and wooden bar – is the perfect setting for an English-style pub. 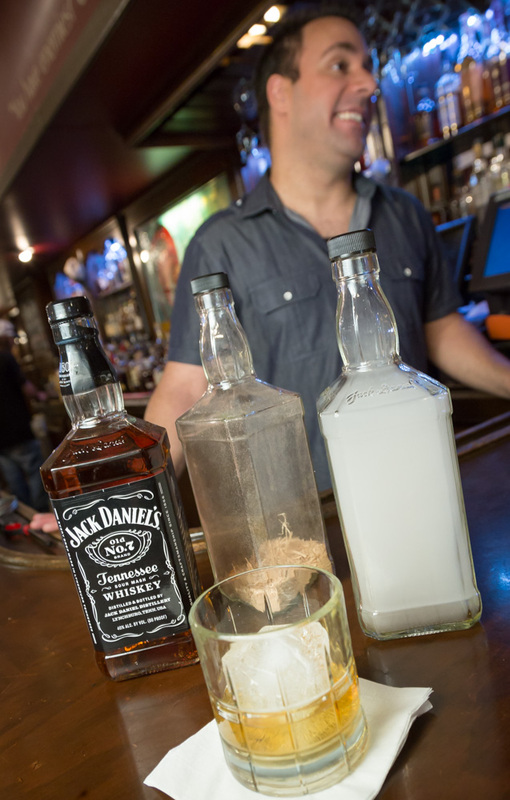 Named for the British leader Winston Churchill, who was known for his love of whiskey, Johnny and his cousins came up with a whiskey bar concept. So, they pursued the idea and were educated by Jack Demarr from the Sazerac Company, and a famous aficionado, Dave Broom. 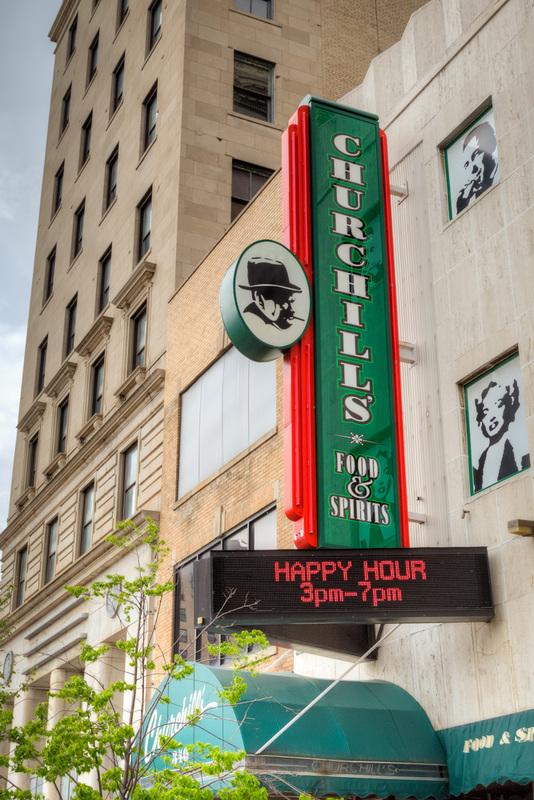 Churchill’s now works exclusively with two beverage companies, Sazerac and Brown Forman. “They have been great, and really supportive,” says Johnny. Churchill’s also sells Pappy & Company products, including their famous bourbon balls, hot sauce, and maple syrup. 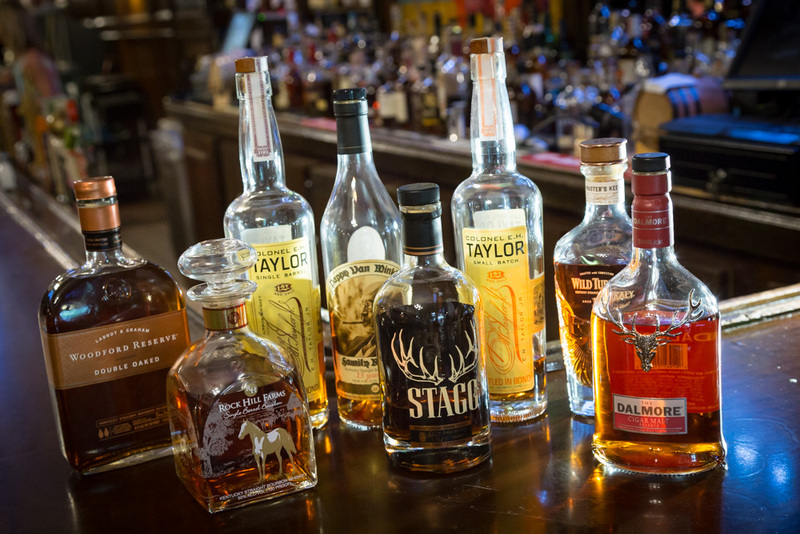 The company is well-known for its handmade bourbon. 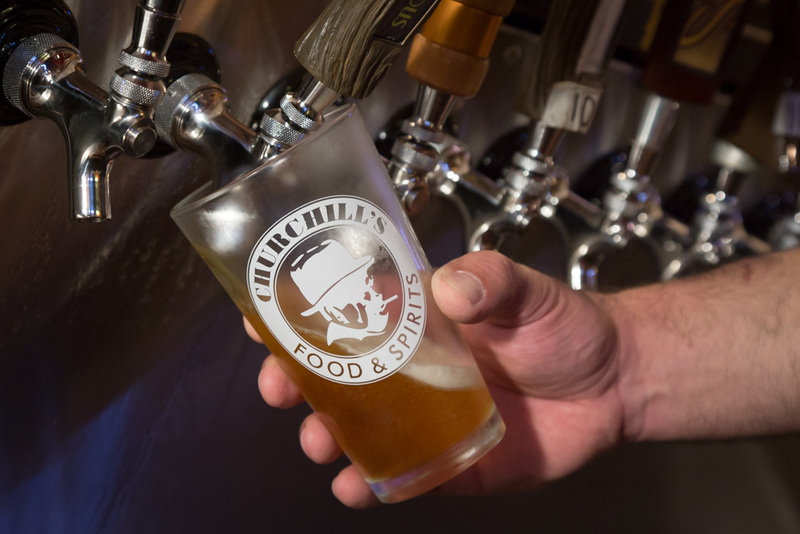 Churchill’s serves more than 150 varieties of whiskies and bourbons. The most popular brand is Pappy Van Winkle, a 15-year-old Kentucky whiskey that sells for as much as $850-$2,000 per bottle. 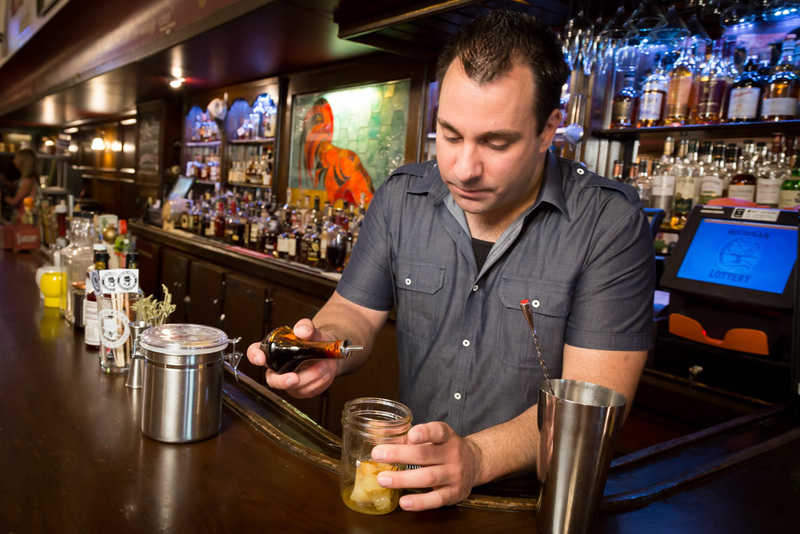 Johnny also makes small batches of whiskey on the premises two to three times a year, using his own recipes. Every cocktail served is handmade with the freshest ingredients and local product from farmers’ markets. The Peach Tea Fusion is a delicious blend of peach slices, raw sugar, house-made peach simple syrup, tea, and Buffalo Trace Bourbon, which gives it a nice, full flavor. Another favorite, Johnny Apple, is made with fried apples, bourbon, applesauce, chocolate, cherry, apple and cinnamon bitters – all mixed together and topped with cranberry juice. “It’s really good,” says Johnny. 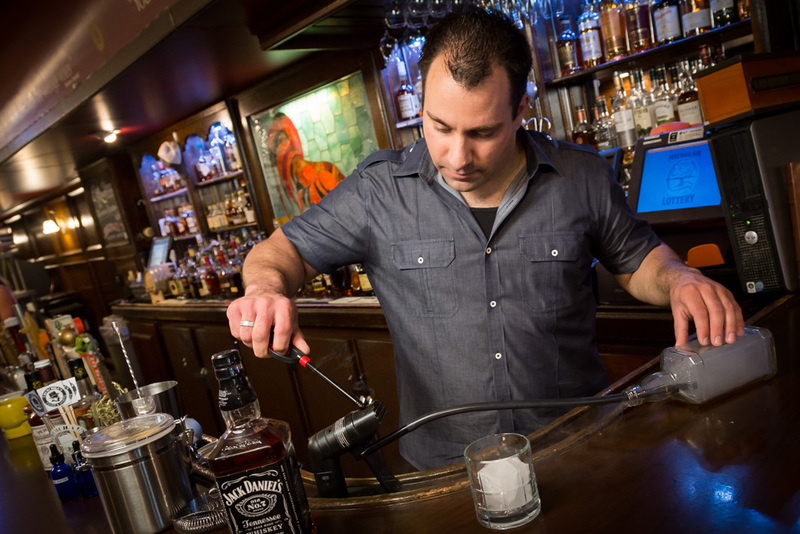 Johnny is happy to make cocktails to order, mixing whatever a customer is in the mood for. The full-service bar is stocked with a wide variety of liquor and wine. 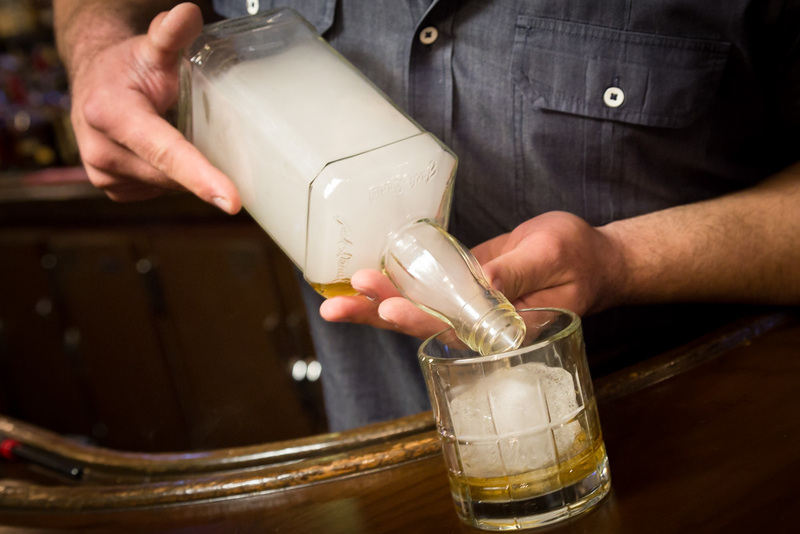 One of the more unusual cocktails Johnny mixes is the Jasper Smoke, made with Jack Daniels, which he places in a glass jar and infuses with hickory smoke. 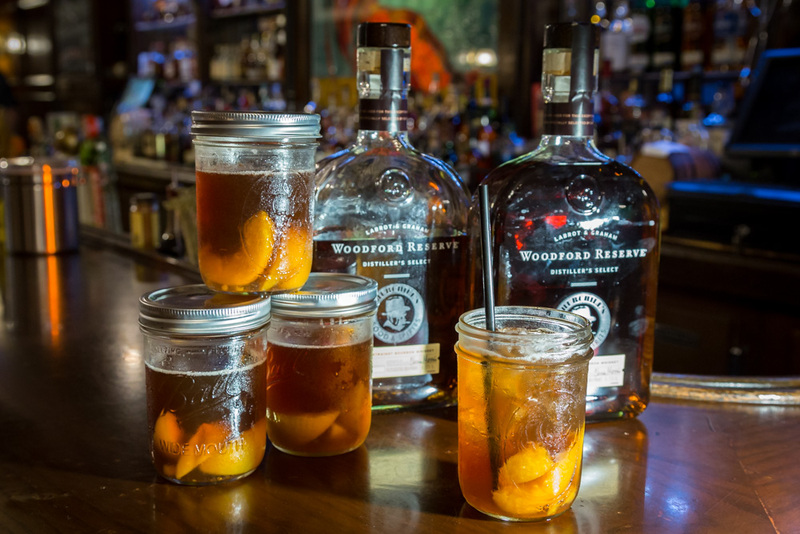 The whiskey then sits for about one minute, giving it a rich and smooth, smoky flavor, before it is poured over hand-cut ice. 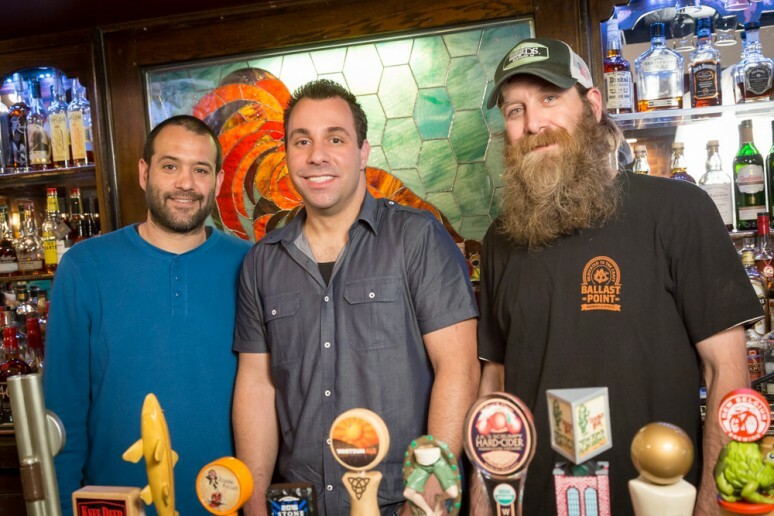 Beer experts Taso and Bill handle the 30 varieties on tap, as well as large selection of bottled brews. 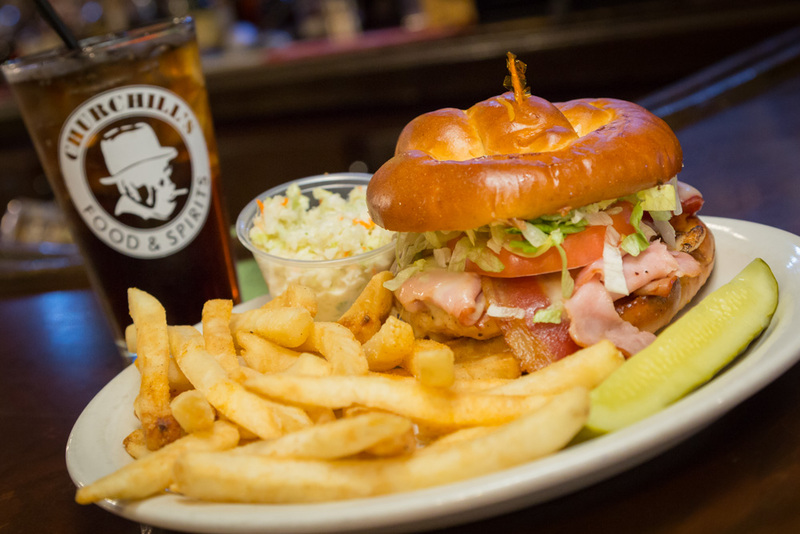 In case you’re wondering, this whiskey bar also serves up some really good food! 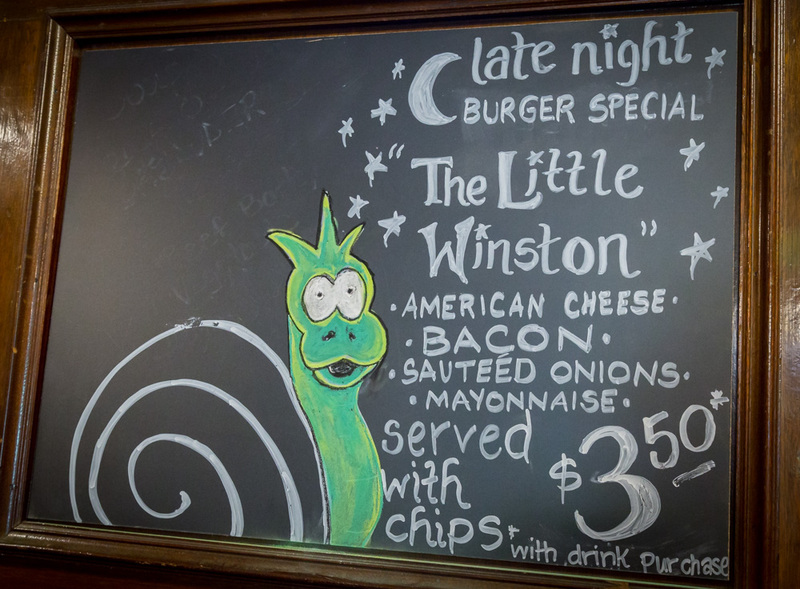 Johnny describes it as a “bar menu with a bit of a twist.” Bill is in charge of the food and has introduced Churchill’s patrons to new sandwiches and fresher fare. All of the bread is purchased fresh from Aldo’s Bakery in Grand Blanc. The Twisted Chicken is a big hit – a grilled chicken breast, bacon, ham, Swiss cheese, lettuce, tomato and mayo on a pretzel bun, served with house-made chips and a pickle. 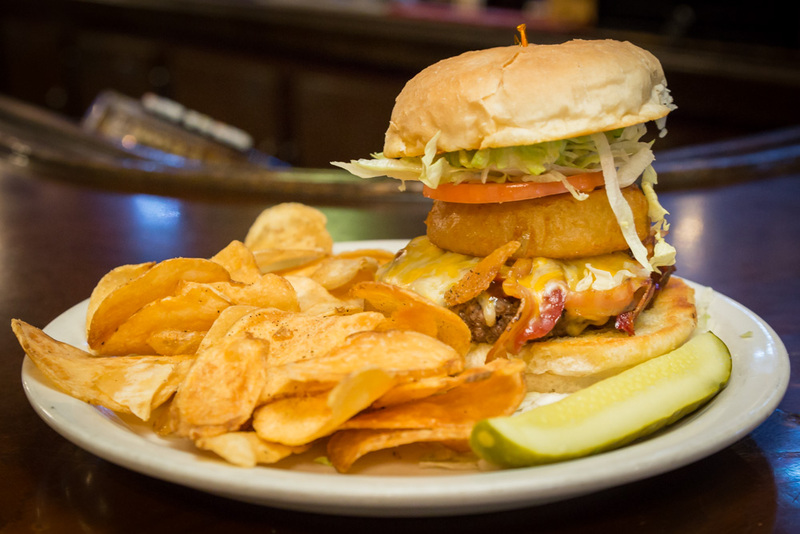 The burgers are made with fresh, never frozen, ground beef. “The salads are very popular, especially at this time of year,” says Johnny. They include Chicken Caesar, Taco, Buffalo Chicken and Chef Salads, to name a few, all made from fresh-cut veggies and served with breadsticks. Some of the favorite appetizers are the Fried Pickles and the English Fries. “We use fresh pickles, not jarred,” says Johnny. 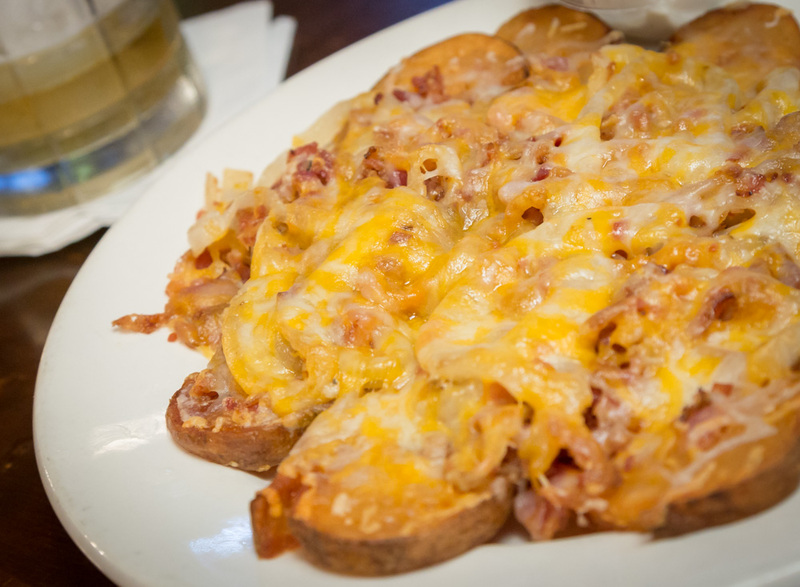 “Our fried pickles are really good.” The English Fries are freshly sliced potatoes that can be topped with bacon, onion and cheese. 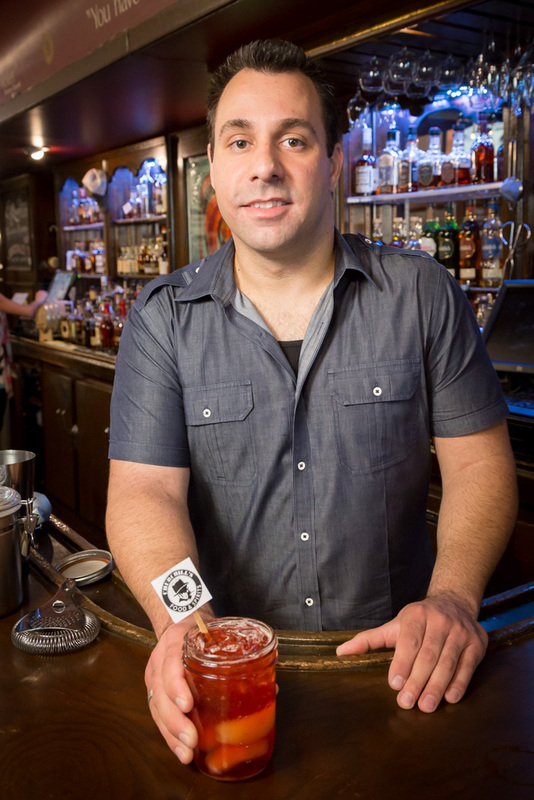 Churchill’s Co-owner Johnny saites won the 2016 City’s Choice Award for Favorite Bartender. 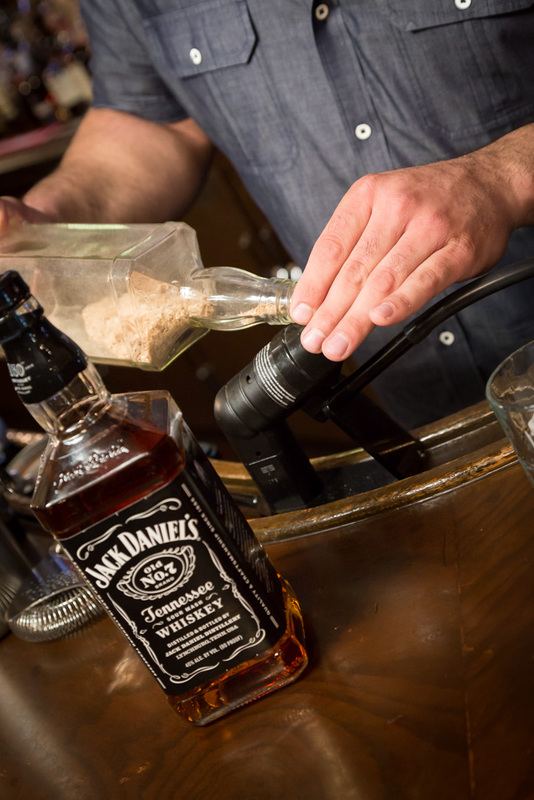 Above, he creates a Jasper Smoke – Jack Daniels whiskey infused with hickory smoke and served over hand-cut ice. Next Article The 2016 City’s Choice Award Winners! Congratulations!! A testimony to hard work paying off.